Stayed up way too late last night, no doubt the jet lag had some small effect, but the Very Understanding Girlfriend and I met up with a friend for a few games of pool, and didn't leave the pool hall until well after three. Food and much talk followed, and bed was not seen until the sun was definitely peaking its head above the horizon. Interesting story of the night came from our friend, whose girlfriend is from the Basque Country. 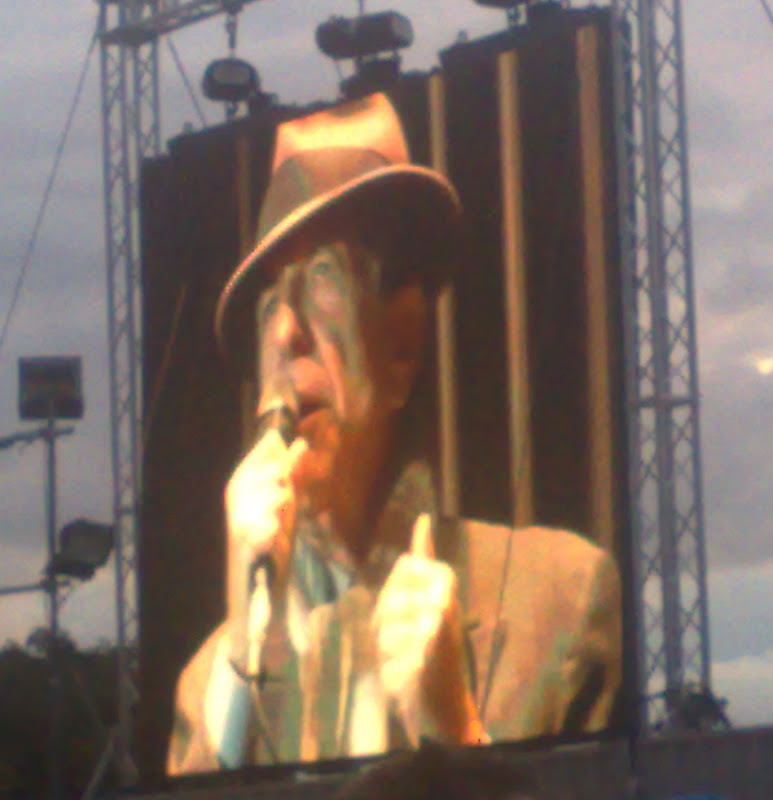 We had been talking about Leonard Cohen's recent Dublin gigs, which we all went to but on different nights. A good few years ago his girlfriend's parents were in Paris, and her father was dragged along to a perfume shop. Quite bored with the experience his eyes wandered around the shop and met another set of equally bored eyes doing the same, but these eyes happened to belong to Leonard Cohen, who had also been dragged there by his partner. Her father, who happened to be a huge fan, went against his natural and cultural tendencies towards discretion and instead went up and introduced himself, saying he was a big fan. Perhaps feeling a momentary bond resulting from the shared pain of accompanying their better halves shopping, Mr Cohen was not offended, and enquired as to where her father was from. When he heard that he was from the Basque country, he proclaimed, "why I've just been listening to this crazy set of recordings in Basque of Walt Whitman's poetry!". "Wow", said her father, "I made those". We were in Berkeley just over a week ago, and sat for lunch on the street outside a vegetarian grill. We had travelled there from San Francisco for the day to visit Moe's Bookshop (The Very Understanding Girlfriend's favourite bookshop) and Amoeba Records (which along with its San Francisco branch is possibly the best second hand music shop in the US). A woman passing by on the street paused and walked up to The Very Understanding Girlfriend and said, "I'm sorry, but I can't remember your name, but were you my language class in college?". It was indeed a person from a year-long course she had taken on the other side of America almost six years ago, who had just moved to Berkeley four weeks previously. Not as exciting as the Leonard Cohen story, but equally implausible in the random encounter stakes. The world is much, much smaller than we all think it is.